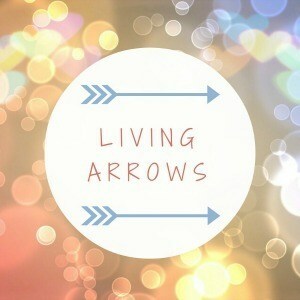 Every week I join in with Living Arrows, a blog linky run by Donna at What the Redhead Said. 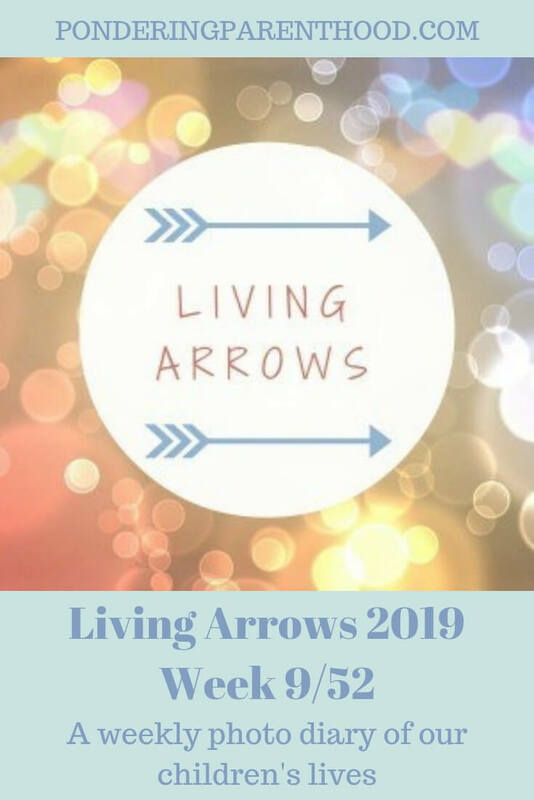 The name Living Arrows comes from a poem by Kahlil Gibran; “You are the bows from which your children as living arrows are sent forth”, and each Monday I share a photo of M, and one of B, and a bit about what we’ve been up to the previous week. Wasn’t the sunshine of last week lovely? Much like lots of others, such warm weather in February has left me feeling concerned about climate change. I’ve been thinking about changes I could make (I’ve started by switching from tampons to a menstrual cup) to try to play my part in reducing waste. In the meantime, though, we just made the most of having some warm weather and enjoyed being outside in it. B’s photograph was taken on Tuesday. We’ve only really recently begun to put B in a swing. The poor thing has definitely been a victim of second child syndrome and been left snug in the pram while I’ve chased around after M at the park. That all changed last week, though, as the sunshine saw us taking a record number of trips to the park, and I made sure that B had a turn in the swing every time. She loved it! I have so many videos of her giggling away. M’s photograph was taken at the weekend, after the weather had turned. We still went outside, though, and took a walk in some woods close to our house. We are so lucky to have this little walk nearby. 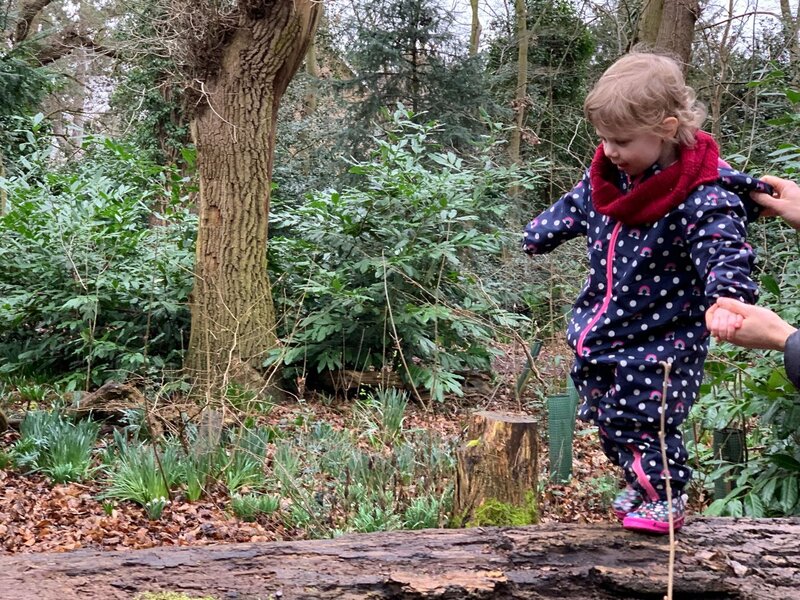 M enjoyed walking along various logs, including this huge tree stump. You can just about see Matthew’s hands in shot, ready to stop her from falling! We had such a nice week. It’s left me looking forward to the summer, although I’m quite prepared to wait for it to appear at the ‘right’ time, if it means that we’re all looking after the planet. 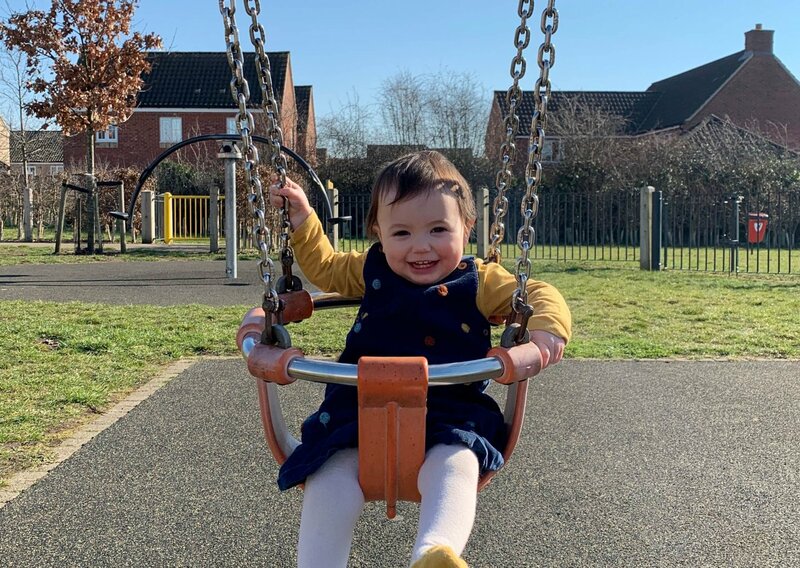 "How the KonMari fold changed my life"
"Pondering Playtime // Rainbow Rice Tuff Spot"
B loves a swing! I think it’s her new favourite thing. I know, I’ve heard people have had snow. We haven’t had any here. It’s worrying that the weather is all over the place! I hope we don’t have another crazy heatwave this summer. The weather was glorious wasn’t it? I have been using a menstrual cup for a over a year and I am still loving it! Your photos are gorgeous and they both look so happy! They definitely are happy little souls! I need to look into other menstrual cups as I’m not certain I’ve got the best one for me. I think they’re a brilliant idea, though.